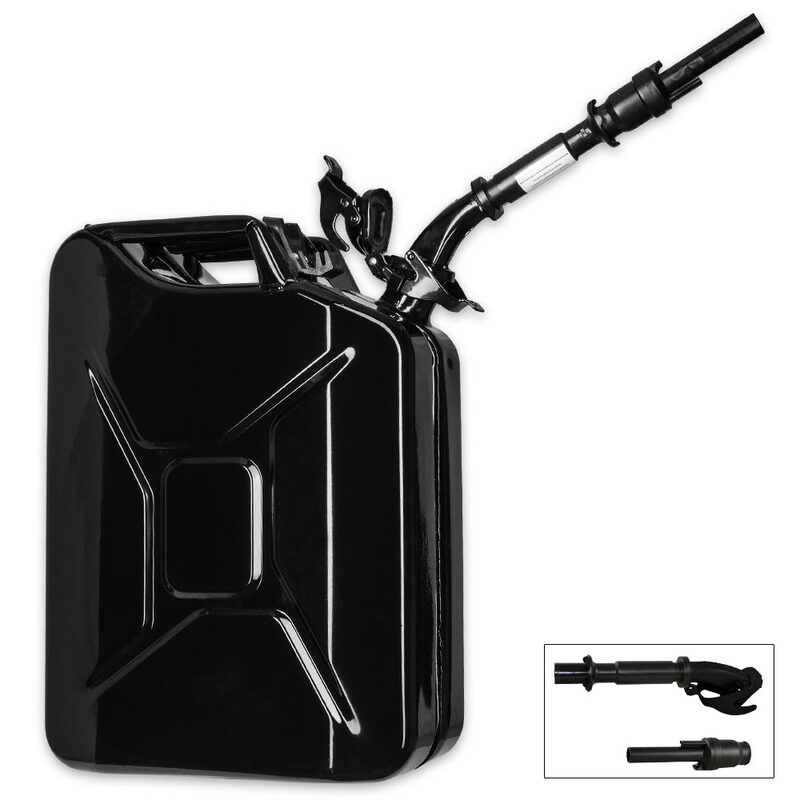 Wavian 20-Liter Fuel Can | BUDK.com - Knives & Swords At The Lowest Prices! This is the first and only new, military spec steel fuel can available in North America! 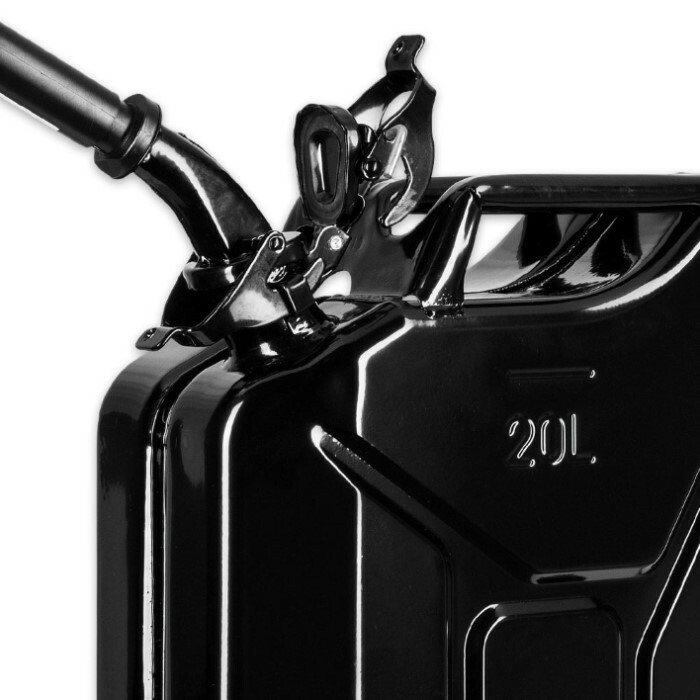 The 20-liter powder-coated can is fully paint-coated inside and outside, with the internal paint being completely fuel, oil and alcohol resistant. It features a full, internal breather pipe for splash-proof pouring and the cap has the additional protection of a locking pin to ensure it cannot be opened accidentally. The Wavian Fuel Can is the highest quality fuel can out there and EPA and CARB approved for sale in all states!